Today's post will be about octopi because what else would I write about when I haven't knit a single stitch in four days? Work has been crazy busy & the shifts have been long. By the time I get home from work, I've only had seven or eight hours to eat, sleep, shower, eat again & get dressed in time to go back to work. On top of that, it's been busy at work so I haven't had time to knit there either. I'm starting to twitch from lack of knitting. Or maybe lack of sleep. No, I'm pretty sure it's lack of knitting. 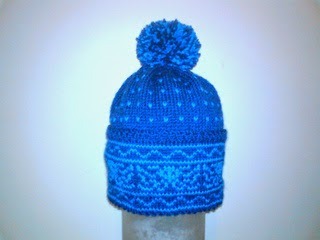 So, what do I blog about when there's been no knitting for days on end? Octopi! One of my favorite supervisors defecting from her life in Cash Control & moving out of state. 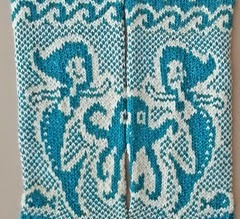 She has an odd octopus obsession & over the years, I've knit her a few octopus items. Tomorrow is her last day & since today's my day off, I thought I'd quickly whip up a new octopus thing for her. 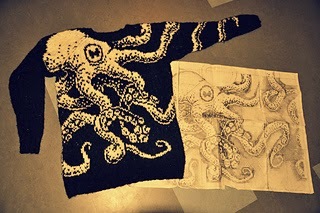 I hit Ravelry & typed "octopus" in the search bar .... and, well, I doubt I'll be giving her another hand knit octopus. It turns out I've already knit her all the simple, quick-to-knit octopi. 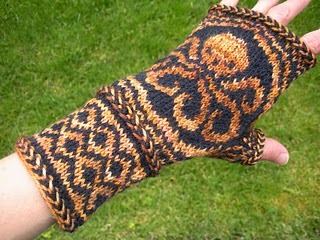 I did, however, find some seriously awesome patterns that would have been a blast to knit. If I'd started a month ago, that is. Check out these awesome patterns. 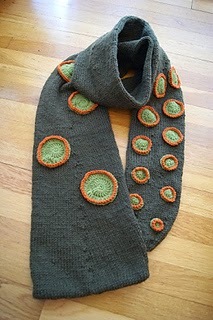 There's an Octopus Tentacle Scarf. And there's this cool fair isle octopus hat. 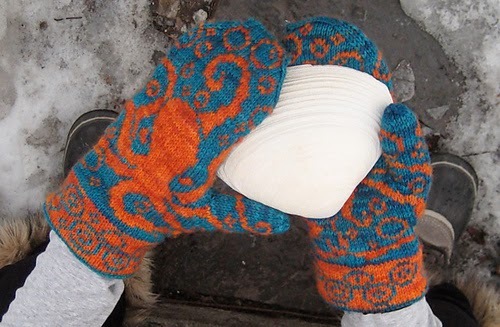 And another colorful pair of fair isle mittens. 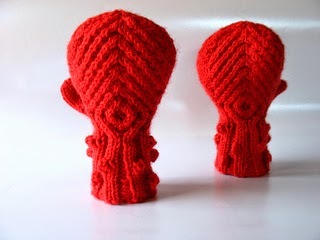 These would be great for using up little bits of left over yarn. 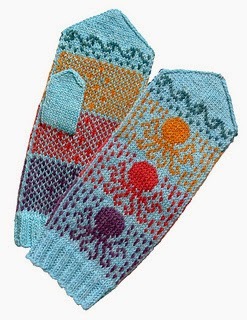 And then there's this free pattern for fingerless mitts which I absolutely love & may end up making for myself. 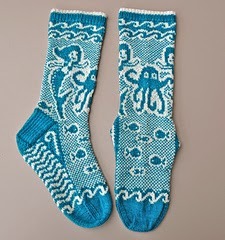 And of course there's octopus socks. Look how cute those socks are laid side by side. They not only have octopi, they also have mermaids! I can't fathom how long it would take me to knit these socks but I absolutely love them. 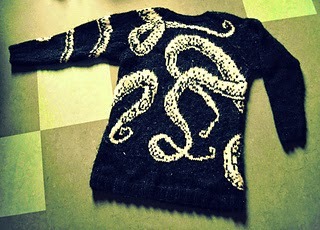 And last but certainly not least, take a look at this octopus sweater. It's knit in the round with stranded colorwork and the tentacles wrap around onto the back. After looking at all these patterns, and wanting to knit them all for myself, I'm coming to the realization that maybe having an octopus obsession isn't such a strange thing after all. Anyway.... Allison, we will miss you & we love you, just not enough to attempt knitting a pair of octopus socks in a single day.